We’re celebrating the launch of our refreshed international data platform with a review of recent research and policy analyses which cite the UK Data Service’s international macrodata. Tracking data usage through data citation gives an indication of the reach and significance of data in use in current debate – and of the concerns of the time. Tracking data citation reveals research reflecting the issues that affect all our lives and experiences, both close to home and internationally, covering every continent and focusing on birth, education, employment, our social interaction, our health, environment, income and attitudes, and on to old age. A research paper by Siân Bradley, Research Associate, Energy, Environment and Resources, Glada Lahn, Senior Research Fellow, Energy, Environment and Resources and Steve Pye, Principal Research Associate, UCL Energy Institute, University College London, for Chatham House Royal Institute of International Affairs focuses on Carbon Risk and Resilience: How Energy Transition is Changing the Prospects for Countries with Fossil Fuels. 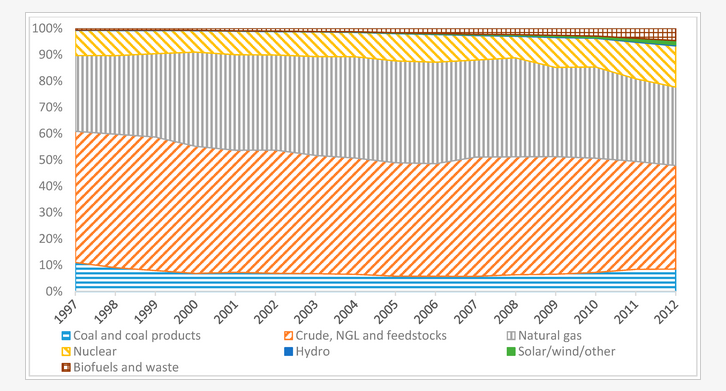 How might decarbonisation affect developing countries with fossil fuels and change the nature of traditional ‘resource curse’ risks, and how can scenarios help explore the impacts of this (drawing on modelled examples for Ghana and Tanzania)? At the country level, what policy measures and practical responses can help governments assess carbon risks and align fossil fuel sector decision-making with long-term climate and green growth goals? At the international level, how are Multi-lateral Development Banks (MDB) and donors responding to these trends, and where are there opportunities to improve policy coherence and coordination around carbon risks and better support transition in fossil fuel driven economies? The paper concludes that for donors and financiers, there remains a conflict between the commitment to the ‘well below 2°C pathway’ in terms of climate change mitigation and development assistance to the fossil fuel sectors of developing countries. To deliver the long-term goal of the Paris Agreement in the least disruptive and least expensive way, fossil fuel use has to fall quickly – coal almost immediately, oil by 2030 and gas by around 2045. Read about Steve Pye and colleague’s work on the Lancet Countdown and his Impact Case Study. Authors Patrick Curran, Sam Fankhauser, Robert Gross, Sini Matikainen and Bob Ward build upon the results of a simple economic model for the power sector, developed originally to assess the relative cost effectiveness of policies to reduce emissions of greenhouse gases in Spain (Doda and Fankhauser, 2017). 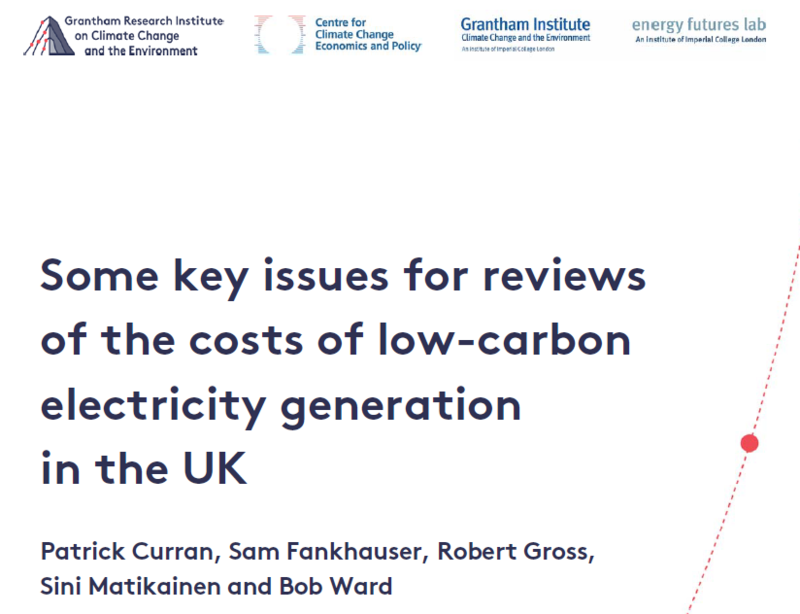 For this study, the model was calibrated for the UK to assess the relative cost-effectiveness of policies to achieve a reduction in annual emissions of greenhouse gases from the power sector of 70 per cent between 2015 and 2030. The model uses the IEA CO2 Emissions From Fuel Combustion: Allocation of Emissions from Electrical Heat data to establish that less than 40 per cent of the UK’s annual greenhouse gas emissions in 2016 were subject to an explicit carbon price. Rapid fuel switching from coal to natural gas through effective carbon pricing (repository copy), Grant Wilson, Department of Chemical and Biological Engineering, University of Sheffield and Iain Staffell, Centre for Environmental Policy, Imperial College London, consider how global carbon emissions from fossil fuels stand at almost 37 GtCO2/yr (carbon dioxide equivalent) and have grown by an average 23 2.4% per year so far this century. The authors used the CO2 Emissions from Fuel combustion data from the IEA to understand annual electricity generation from coal, gas and nuclear generation, concluding that switching between fossil fuels could provide a significant boost to global decarbonisation but that fuel switching is no silver bullet, and many barriers can explain why only a small percentage of the estimated potential has been realised thus far. In Developing an Input-Output Based Method to Estimate a National-Level Energy Return on Investment (EROI), Lina I. Brand-Correa, Paul E. Brockway, Claire L. Copeland, Timothy J. Foxon, Anne Owen and Peter G. Taylor the authors note that declining energy return on energy investment (EROI) from fossil fuels and low levels of EROI for alternative energy sources could constrain the ability of national economies to continue to deliver economic growth and improvements in social wellbeing, while undertaking a low-carbon transition. In order to test these concerns on a national scale, the authors identified a conceptual and methodological gap in relation to calculating a national-level EROI and analysing its policy implications. They developed a novel application of an Input-Output methodology to calculate a national-level indirect energy investment – one of the components needed for calculating a national-level EROI. The authors used a mixed physical and monetary approach using Multi-Regional Input-Output data and an energy extension, describing the methodology and data requirements for the approach. The approach enables quantification of EROI for national economies, particularly when calculating indirect energy inputs and represents a novel application of Multi-Regional Input-Output (MRIO) datasets – enabled by the advances in data gathering and computing power. The authors found that the UK as a whole has had a declining EROI in the first decade of the 21st century, going from 9.6 in 2000 to 6.2 in 2012. The approach has the potential to support policies aiming to transition to a low-carbon economy. We make it easy to #CiteTheData for anyone using data in their research and analysis: Search for any dataset in the data catalogue and scroll down the page. Not only is there a handy ‘Citation and copyright’ section, but there’s an easy-to-use tool to convert this citation into APA, DataCite, Harvard and Vancouver formats. For a quick overview, see our top ten tips to citing data. We thank all the researchers who #CiteTheData.